Homepage / Internet / Where is the Location of the Apache Log? Where is the Location of the Apache Log? It can happen to the consultation via email from Franklyn on the subject of web server Apache where the process often switches itself off. Well.. problem diagnosis for undertaking what is, of course, we need to know what actually happened, and usually, there is already a note in the log file. /var/log/– public log Location in Linux. /var/log/apache/– the old location of the Apache web server. /var/log/apache2/– Ubuntu/Debian normally uses this directory. /var/log/httpd/– the hallmark of RHEL/CentOS Linux distribution. What are we looking for? 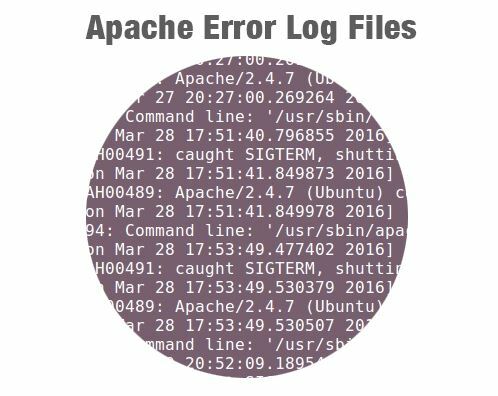 Use the file error_log to read Genesis what generates problems in Apache access_log, whereas to know the activities of your browser that accesses your website. Specifically for the access log, in the directory above, it will be split per domain, please open directory domains only. The file is a readable text, so use vim or nano directly via SSH. How about not found? Between the zero case, or indeed already gives a chance to the other locations and this indeed can be defined in the Apache configuration. Please check the line named ErrorLog. Maybe useful for you, Good luck.